These silver tins (2 oz) make perfect wedding/shower gifts for guests. They are also unique client gifts. 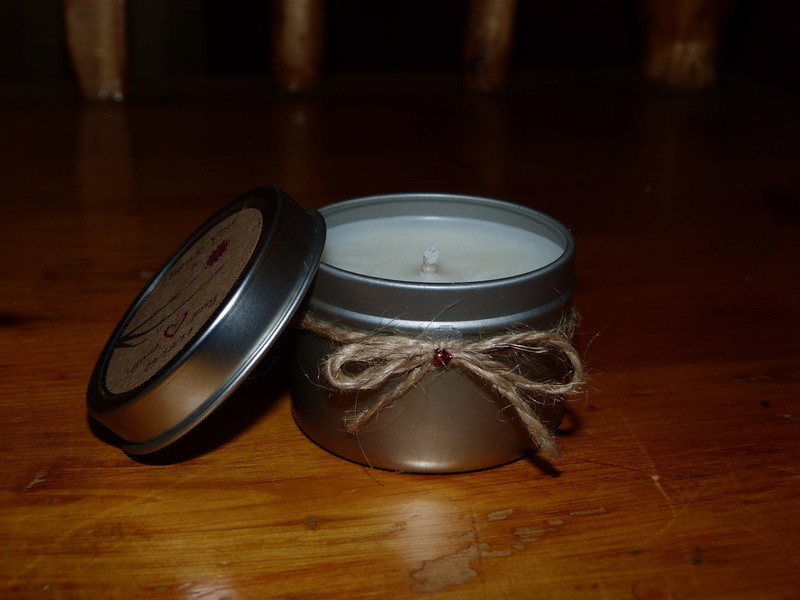 You pick the scents and we will fill them up for a perfect candle gift! We include a label on the bottom with the scent and can also customize a label for the top with the event details or just simply to say Thank You (additional cost for the top label. Very reasonable priced at $3.00 each, we also offer a volume discount on certain quantities. Contact us for more details. We also offer full and half bars of soaps that can be given as gifts to your guests. They can be naked, or wrapped with a label containing the event details. Contact us for further details and pricing!